Samsung is pushing out a big update to the Gear S3 which introduces a host of new features to the smartwatch. It carries the firmware version R760XXU2DSA1 and also bumps the device to Tizen version 4.0.0.2. The update is currently available in the US, with a wider roll out expected in the coming days. 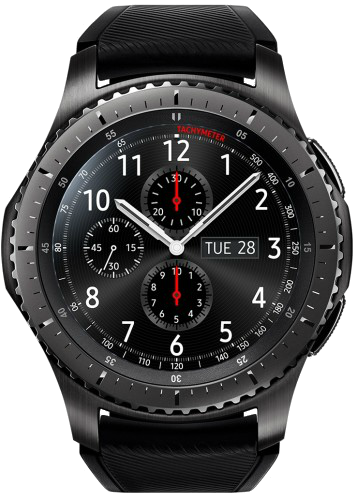 The latest Gear S3 update brings a number of improvements in the watch’s usability and functionality. Samsung Health now supports more indoor workouts and back-to-back workout. The Health Widget also gets support for sleep stages information. Quick Panel gets an improved UI for faster and easier interaction. The watch settings get two advanced modes – theater and sleep – which can also be toggled from the quick panel. Settings menus have also been re-categorized. The notification panel now shows incoming MMS image and automatically plays GIFs and other animated images. Messages app lets you save draft messages and supports over 1,000 emojis. As said earlier, the update is currently available to download in the US only. It weighs nearly 300 MB. The update is being rolled out in phases and may take a while before it reaches your region and device. You should get a notification when it’s available for your Gear S3. You can also manually check for updates by going to the About Gear » Update Gear software section in the Settings tab of the Galaxy Wearable (Samsung Gear) app on your phone. Update: The Tizen 4.0.0.2 update is rolling out for the Gear Sport as well with version number R600XXU1BSA1. Uh yes it is, and the delay and hold hahs been announced on global samsung news. and confirmed by their RD only US and CAN are gettiing it. markstep1 is right its on their news site that its on hold until March. I was on their news site. The link is here: h_t_t_p_:_/_/_b_i_t_._l_y_/_2_F_y_Q_1_h_t —> Remove the underscores! That doesn’t make any sense but OK. It seems that Samsung still doesn’t know how their more than 2 years old watch (Gear S3 Frontier) functions! 🙂 However there are some people on this thread that received the Tizen 4 and I don’t see them complaining about “big issues”. For example Kabamaru – Spain (S3 Frontier), socalrailroader – USA (LTE S3 Frontier), jtOttava – Canada (S3 Frontier), Falcine – Germany (Gear Sport), nefi45 – Mexico (Gear Sport), etc. then you didn’t read about the Always on display not working right, some watch faces not animating, the heart rate minor going crazy, the Bluetooth dropping. i updated to tizen 4. Had issues and samsung asked me to drop my watch off at the service center, the next day (yesterday) they called me to come college a replacement watch with tizen 3 on it. after again complaining its not fair, i was yet again explained there is a issue and it will be address in a later update. Did any one in india get tizen 4 update for gear sports? I still have Gear Sport running at Tizen 3, and everytime I check it says you got latest update. I got this Gear Sport alonwith Note 9 under scheme in India. I live in UK and have ATT Gear S3 watch. When can we expect ATT to release the udpate so that i can update as well. Sammobile guys can you please help!!! I just got the update for my Gear Sport from México tonight. Does anyone know if Samsung have officially stalled this rollout or is it just being done really slowly? I’m wondering the same, Denmark here, and no update yet! Still waiting for update in Romania…. Nu era mai simplu sa dai link-ul direct? Anyway thx. I don’t often send texts from my watches, but yesterday it took 6 attempts to successfully send a text from my Gear S3 using the voice prompt function. And the first successful text sent was “Send a text”…lol. The next one was my actual message. It was a mess of not working right, errors and more errors before it actually worked. I thought WearOS was unreliable, but Tizen on the Gear S3 is the king of unreliability. what about galaxy watch ? Why did I buy a galaxy watch if S3 became better in software at the moment? I am very disappointed in Samsung lately. It’s not better software than the Galaxy Watch, it’s just an update to Tizen 4.0,which will probably be the last update. Your galaxy watch will get further updates to Tizen 5, which will likely not come to S3. 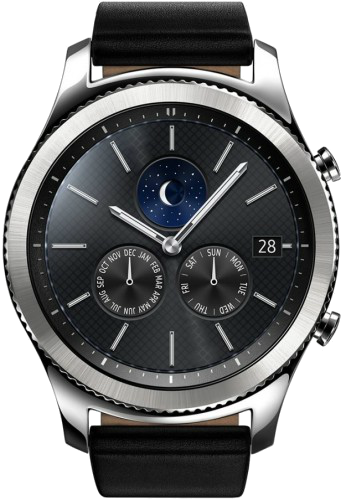 What about Gear S3 Classic? And, Is it possible to download the firmware and manually flash it? No you can’t flash it, unfortunately. I was reading on Samsung official News Room site. It will arrive in the next day or two to every market. Classic and Frontier have exactly the same software. Again you CAN, you dont have to use your regions firmware, i have many times flashed my Gear S3 with another regions and my samsung pay and everything work perfectly, as long as you use an official Firmware. Hence you can download the USA or UAE Firmware right now for 4.0.0.2 and use it using the BOOT recovery. Where did you get the firmware tjmak? any of u gear s3 LTE who got the update? am i the only who didnt? Read the article. Your LTE watch model number is R770 or possibly R765 in some regions, though not sure about that. This software update is for R760 the non LTE version. Why is biransahin trolling this forum? Lots and Lots of LTE versions got the update already. Many people on this thread for the past day talking about how they got the LTE as did my brother who lives in Canada, he has the Frontier LTE and got the update over 12 hours ago. Nothing here in the US yet on my Verizon Gear S3 Frontier. I have a feeling they’re updating the non LTE version first, then the LTE enabled (AT&T, Verizon, T-Mobile, U.S. Cellular) ones. The model number is SM-R765V. I think you’re right. It’s just the non LTE version at the moment. For all those who got the update, do you have the new watch face called “my day”? Now Gear S3 have the same software as GW. Exactly same? Is Bixby avaliable? I don’t know. I don’t have Gear S3. I have Galaxy Watch. Singapore is still at 3.0.0.2. Hasn’t arrived in Turkey yet, on my S3 or my wife’s Gear Sport. It’s running so well now, with great battery life, I’m almost afraid to update it when it does arrive. Lol. I wondered the same thing, but so far so good – no unusual battery drain. Any initial feedback on the update? Issues or performance related? Is the watch showing any lags or battery drain (so far)?